“Daddy, will you make me an English muffin?” she asked, waking up just before noon on a Tuesday summer morning. “Yes, I want you to make it,” said the daughter, Little Lazy Lucy, as she *slouched* into the comfy chair to pet the cat. “And what about eating the English muffin, is that too hard?” he asked. And with that Daddy went into the kitchen while LLLucy scrunched even further into the comfy chair and laughed as the cat kneaded into her soft belly. Upstairs another door flew open and dapper son Badly Buzy Ben announced, “Breakfast? What’s for breakfast?” as he stomped down the stairs. His hair was perfectly done and his suit looked freshly pressed. The blue tie matching and shining in concert with his pocket square. 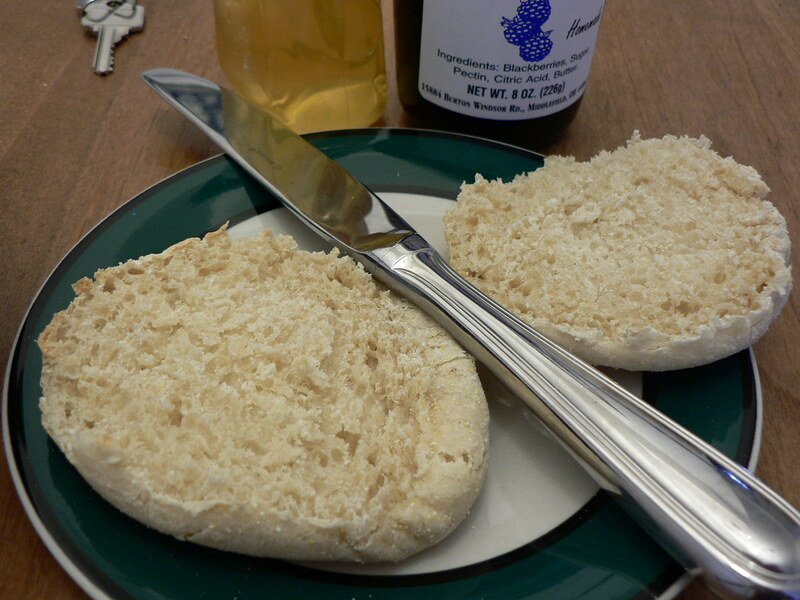 “Um… What are you making?” he asked, noticing the English muffin Daddy was cutting in half. “I would like some bacon and eggs,” BBBen announced. “Will you make my eggs?” BBBen asked. “It only takes about 5 minutes to scramble some eggs, let me show you where they are,” Daddy said. “I’m really not that hungry,” BBBen said, looking quite skinny in his fine suit. “Okay, I’ll just have an apple and go back to my room.” He said. Daddy cut the English muffin and put it into the toaster oven. The timer was set to dark, but he knew that this really resulted in the perfect toasting of the English muffin. “Do you want to come put the butter on?” he asked, LLLucy. “Would you like to come put the strawberry jelly on the muffin?” Daddy asked. “Can you do it, Daddy, I’m much too relaxed here with Shadow,” she said. The cat had curled up in her lap and was licking his paws vigorously. It was a nice scene. Daddy could understand how it was hard to get up when getting up meant upsetting the cat in your lap. So he proceeded to put the organic strawberry preserves on the warm and buttery English muffin. “Yum, Daddy. That smells great. Is it almost ready?” LLLucy asked. “There are more muffins and I’ve left out all the ingredients right beside the toaster for you.” he said. “Yummy yummy, in my tummy,” Daddy said, as he closed the door and left his children to starve. Take care, and if you need someone to talk to about dating, divorce, or depression check out my coaching page.